I tell people I have a love/hate relationship with the Assassin's Creed series, but I'm going to be totally honest here: it's mostly a love/annoyed relationship. I find them to be brainless timesinks, and that's not really a bad thing. They're a reliable, often enjoyable 20 something hours of game. I haven't played all of them, and the ones I have played are often regarded as the bad ones, but I almost always get one when I want to kill time. Assassin's Creed Origins, however, is better than a time killer. It's a great game. 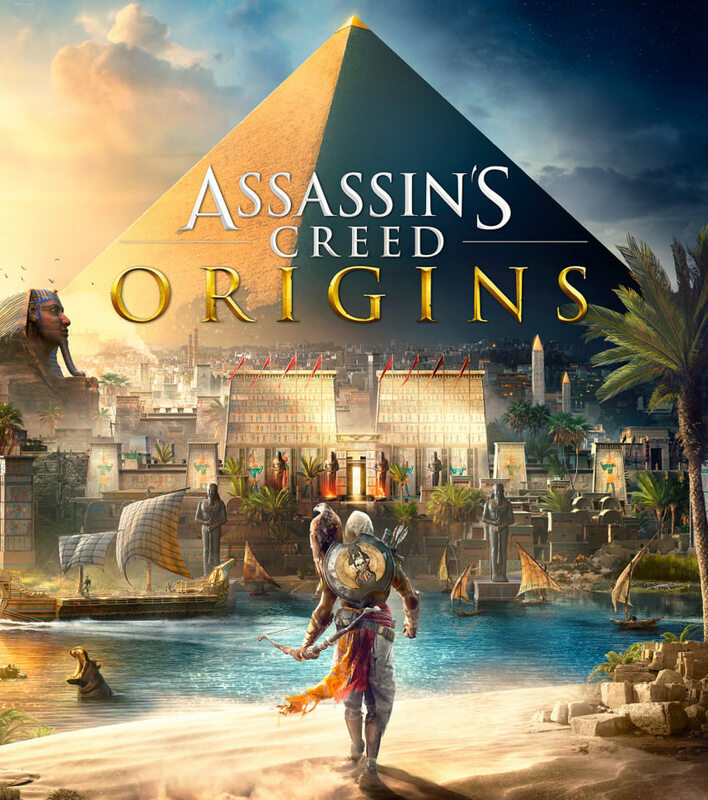 Assassin's Creed Origins takes the history-skipping game way back to ancient Egypt, in the times when Cleopatra's brother occupies her throne, and he's propped up by a Greek army. You play as Bayek, a Medjay, and you're hunting down the people who killed your son. This mission will take Bayek all across Egypt and lead to uncovering a greater conspiracy. Origins bins a lot of hallmarks of the Assassin's Creed series. In doing so, it becomes a much more enjoyable game, and probably a more accessible game, but it loses some of what makes Assassin's Creed unique. Origins presents a huge, sprawling Egypt that you're free to explore and engage with on your terms. Origins took a lot of, let's call it, inspiration from The Witcher 3. It's very much about having a lot of stuff to do, and letting you do it in whatever priority you want. Often, you can even run off in the middle of a quest to do something else and then come back and pick it right up. While the quests aren't quite as well written as The Witcher 3, and they rarely do that thing where it acknowledges when you've already solved a step in the quest ahead of time, they are competent. They don't feel like a waste of time. Bayek himself, along with the rest of the cast, is also well written. Compared to some of the rest of the Assassin's Creed series, this is the best it's been. What is loses is the strict focus on stealth. Bayek can get into a lot of fights and leave most of them alive, where most Assassin's Creed protagonists would wilt like a flower. Additionally, if you do find yourself in over your head, you can simply run away and it'll almost always work. This is in stark contrast with other games in the series, where enemies are almost omniscient and ever-preset to the point that being spotted means reloading a checkpoint. Add in that you no longer have the ability, or much need, to blend in with crowds, nor much need to run along rooftops to avoid being seen, means this Assassin's Creed feels least like a game in this series. If it weren't in a historical setting, with a single "assassinate" button, and good climbing mechanics, it'd be a different game entirely. Some people aren't going to like this shift; I'm not one of those people. I loved it. Like The Witcher 3, it hooked me early on and I spent a lot of long stretches of time playing it. Unplayed games notwithstanding, this is the best game in the series. The extra time Ubisoft put into its development clearly paid off; they made an Assassin's Creed that I just loved.